Today’s gym goers are not the same as they once were. We are a different group of people with different needs and for that reason we need different gym bags. The days of a simple bag with a shoulder strap or handles on it without anything else have past. There are hundreds if not thousands of different gym bags to consider, accommodating for how we have evolved as gym goers. 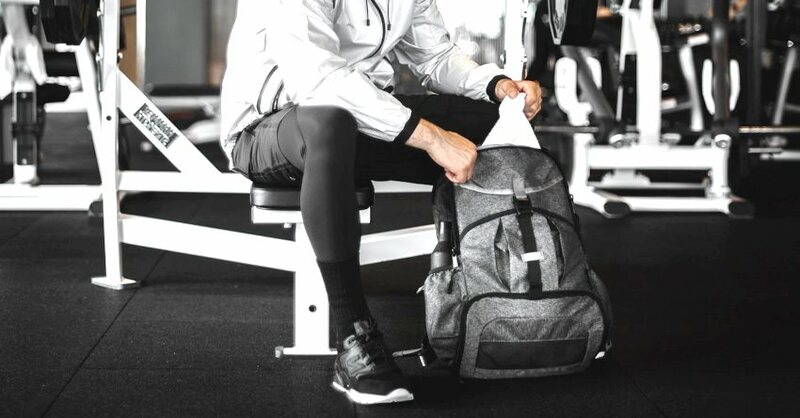 Luckily, we’ve rounded up what we consider to be the best gym bags for different categories depending on who you are or what your need for the gym bag may be. For a quick glance of what we have reviewed you can view the table below or for a mini summary of the specific gym bag, read on below and see what that particular bag has to offer. Who knows maybe you’ll find exactly what you’re looking for. 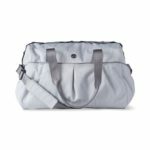 What is it: This is the All Day duffel bag by Lululemon. Lululemon is well known as being a top brand for many women and most recently men. 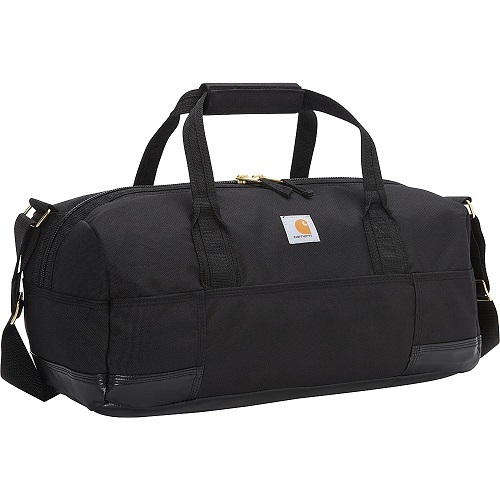 This All Day duffel is perfect for women who are looking for a gym bag as well as using it for other uses. Concerns: If you have something bigger in this bag like a yoga mat it will tilt the bag with use of the shoulder straps. Read on below for more on the Lululemon yoga bag. Last thoughts: This bag is built to do multiple jobs and the role of gym bag it does very well. It’s perfect for going to the gym from work or vice versa, taking out to eat with or just shopping in general. 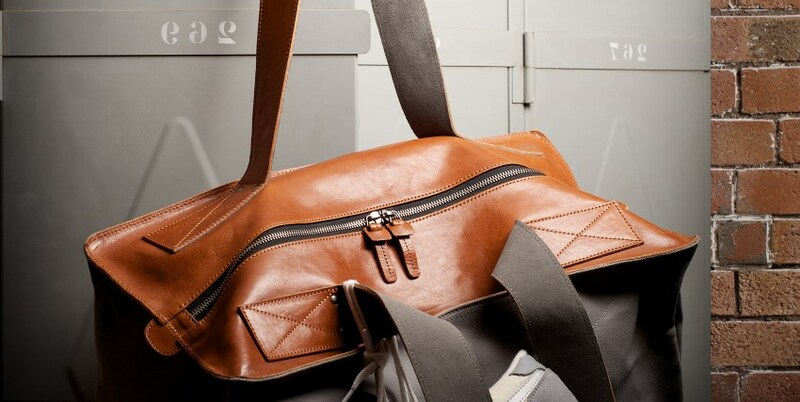 This bag fits many needs and lives up to its name of All Day duffel. 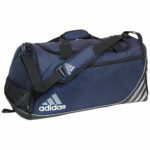 What is it: This is the Small Team Speed duffel bag by Adidas. 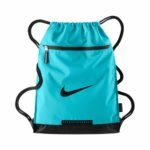 It’s one of Amazon’s best-selling gym bags and comes in 9 different colors for you to choose from. There are other sizes available but we feel this fits most needs nicely. Features: The Team Speed duffel bag is made for excellent functionality and features multiple compartments for different uses. It’s also incredibly comfortable all while being durable enough to take a beating only a gym rat can provide. Concerns: Material seems a little thin but for the price it holds up very well. Water resistant bottom is nice but rest of bag is not water resistant at all and contents will get wet if in the rain. Last thoughts: For the price this bag is hard to beat. If you’re looking for a simple bag to hold your clothes while at the gym or on a short weekend trip this will get the job done. The padding on the shoulder strap feels amazing as well. 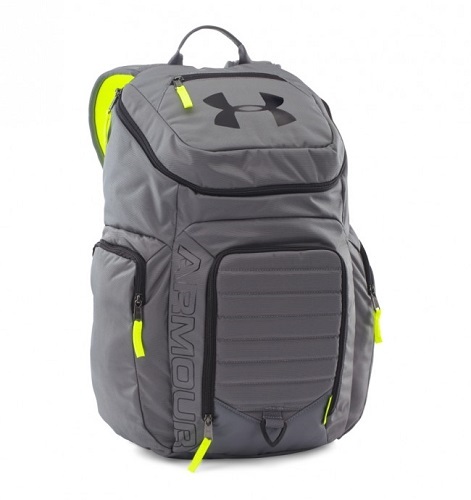 What is it: This is the Under Armour Storm Undeniable II backpack, built specifically for hitting the gym hard. It’s made of 100% polyester to keep it lightweight yet durable and works both as a backpack or duffel bag. Features: This backpack duffel bag combo screams gym, sports, mud runs. Its features are all designed to deal with the nastiest, smelliest clothes as well as deal with the elements. Let’s see what else its got. Last thoughts: As mentioned earlier this bag was bred for the gym goers. 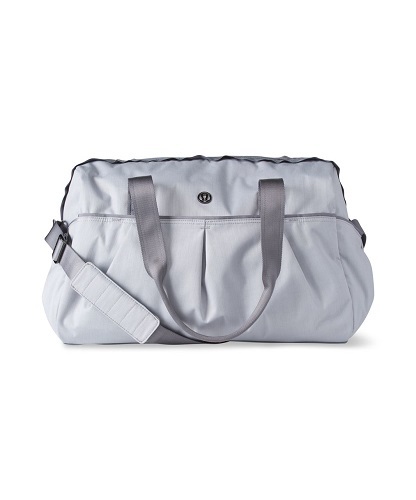 It’s extremely lightweight for a gym bag and has multiple pockets just for workout clothes, shoes and towels to keep them separate from the rest of the bag. If for any reason you have an issue with the backpack, Under Armour’s return policy is top notch. What is it: This is the Team Training Gymsack by Nike. It’s one of the best drawstring bags you can get for this price. It’s offered in 7 different colors to choose from. 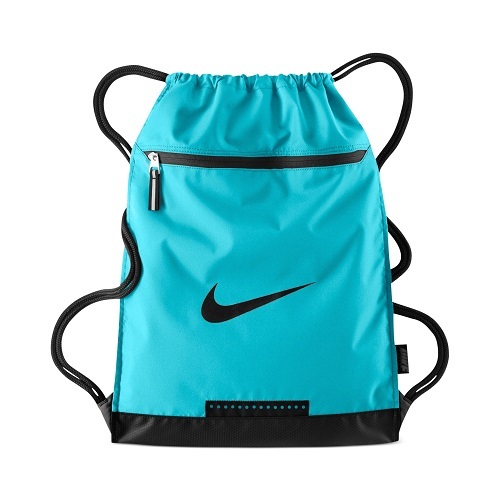 Features: While drawstring bags aren’t known to have many features, Nike was able to provide a couple with their gymsack. An outside zippered pocket provides a secure area for smaller items. Concerns: Usually when I think of drawstring bags I’m thinking of basketball but unfortunately this is slightly too small to carry a basketball. The strings are also a bit long so it may not be suitable for younger kids as the gymsack will hang fairly low. Last thoughts: A gym drawstring bag with some features actually surprised me. They’ve updated them from the crappy thin material with thin string bags from when I was younger and today’s gymsacks provides features not expected. What is it: This is the Carhartt Legacy Gear Bag, perfect for those professionals who are going straight from the office to the gym or vice versa. If you want something a little different than black, Carhartt offers this gym bag in Carhartt brown and Real Tree Xtra Camo. Features: The Carhartt Legacy gear bag is made of tough synthetic material that’s built to be a heavy-duty abrasion-resistant bag with excellent water resistance. Carhartt is known for providing quality products so let’s see what else this Legacy Gear bag features. Concerns: Not much organization available as the only pocket is inside and 5 inches long. 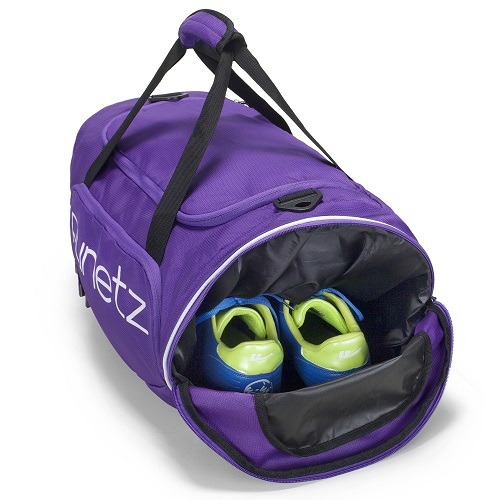 No way to compartmentalize unless you get the 30” bag for the additional shoe compartment. Last thoughts: Carhartt has been around for quite some time and are known to make quality products. This gym bag is no exception as it looks great and is extremely durable. It doesn’t have much in the way of organization but if that isn’t an issue to you then this is a perfect bag for taking to and from the office. What is it: This is the Runetz gym bag. It’s an extremely versatile and functional bag and honestly for the price you simply can’t beat it. That’s why it’s been one of the best-selling gym bags on Amazon for some time now. Concerns: Material seems a bit thin but as long as you’re not putting pointy objects in your bag it should be fine, other than this there’s nothing to mention. Last thoughts: This gym bag by Runetz provides all of this functionality at an unbelievably cheap price. It’s hard to find a gym bag better than this and one that stores shoes makes this the best buy you can get for your money. 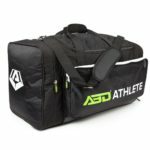 What is it: This is the ABD Athlete gym bag. It’s a multi-compartment gym bag that is built to utilize every inch of space. With this gym bag you don’t get many options of style, only black or navy. Concerns: Might be a bit big for lockers so make sure you compare the size of this bag to what your locker will accommodate. If being a little heavy is a concern for you then look elsewhere but honestly why are you even looking at gym bags then if you’re worried about weight? Last thoughts: This bag has all kinds of functionality and its durability is insane all at a reasonable price. It’s definitely a gym goer’s bag and specifically we think it’s best for the crossfitters out there. If your locker at the gym is too small just carry the bag around the gym or post up in one section and let everyone know who the boss is. What is it: This is the Lululemon women’s yoga mat bag. It’s built specifically for the yoga enthusiasts in mind and who better to make it than a company equally dedicated to yoga. 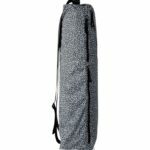 Features: The Lululemon yoga bag has a couple features besides being just a holder for your yoga mat surprisingly enough. 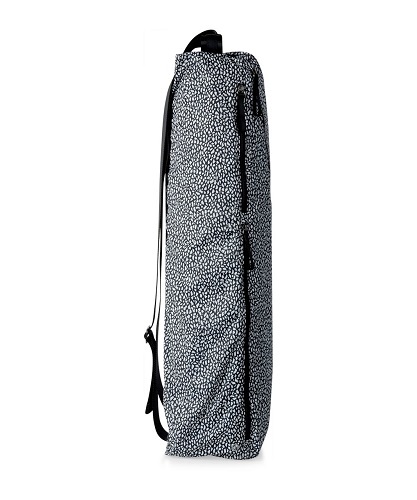 Concerns: Be careful to make sure that your yoga mat will fit inside this yoga bag as larger mats will not. Last thoughts: For being a bag meant to specifically carry a yoga mat, Lululemon has done a lot with it. They’ve built in extra functionality not seen in many other yoga mat bags. Just another example of Lululemon setting the bar. Obviously everyone has different tastes and not everybody is going to want to go with the same old boring black gym bag that everyone else at the gym has. 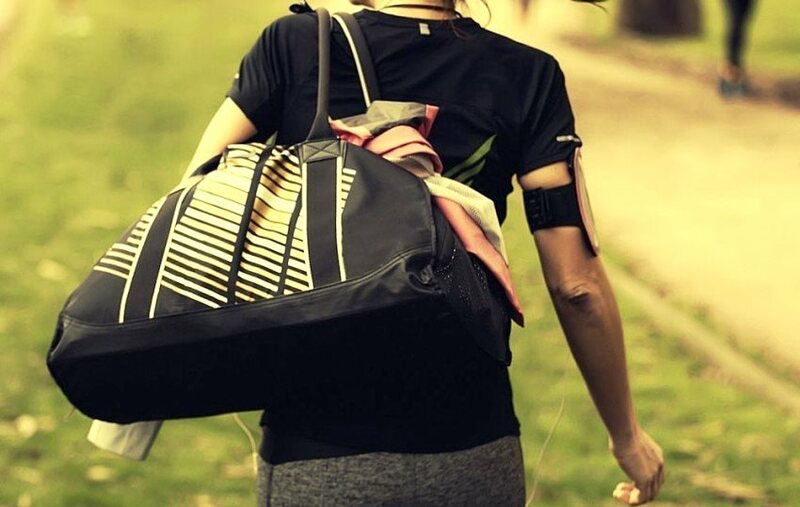 It’s important to define who you are and why should your gym bag be any different. When it comes to style there are two main factors that come to mind and the first is color. Pick something that represents you best and if you happen to like black well then it’s just an added bonus as almost everything these days is offered in black. The second main factor is design of the bag. Are you a traditional duffel bag gym goer or are you looking for something a bit different not only to stand out but perhaps it’s more applicable to your lifestyle. Consider other designs like backpacks, rollers, drawstring bags, there are quite a few options to choose from. Gym bags these days can be made of a number of different materials and each one has its own unique properties that will decide just how well your gym bag fairs. It’s important to consider what the gym bag is made out of, is it some sort of canvas, polyester or perhaps a rubber or plastic type of material? How thick is the material, will it be durable in the long run if it’s constantly being thrown around, ran into, poked with keys or anything else you might throw in there? How does the material feel, does it slide easily against your clothes or brush harshly almost acting like sandpaper? Perhaps if it’s a rubber or plastic type of material maybe it even sticks to your clothes. We’ve found Polyester bags to be our preference. Tying into the type of material that your gym bag will be made of it’s important to know if that material is made to be water resistant or waterproof. Be careful of certain companies saying their bag is water proof when in actuality it’s more like it’s water resistant. Notice that sometimes a gym bag will be described as having the bottom made of waterproof material and not allow any water in from wet grounds or wet floors. This solely applies to the bottom of the bag and most times the rest of the bag will not be water resistant. Everyone’s favorite part of a new toy or new piece of travel gear or new gadget is the features and functionality it has. With gym bags it’s tough to see how it can do much more than hold your clothes but if you look there are bags out there that do all kinds of things. When looking for gym bags for this list we wanted to consider almost anything a possibility as long as it fit into the desired category. There are duffels that double as a backpack, gym bags that don’t even look like gym bags and some that have cooler insulation! When looking for gym bags just keep in mind what all you are looking for it to do. If you need something that will carry your shoes or hold your dirty and sweaty gym clothes separate, there are gym bags out there that do that, just think about what you need before you pull the trigger on buying it. As with any product you’ll ever buy you want some kind of assurance or guarantee that the product works as advertised. In lieu of there being a warranty or guarantee, reviews are the next best things. If you’re rough with your gym bags or plan on utilizing it for more than just the gym perhaps consider finding a bag that offers some sort of guarantee or warranty in case of damage. Most gym bags are built pretty rugged to take the beating that is expected of them and again if you can’t find a gym bag you like that has a warranty, than consider what all the people reviewing it have to say as that’s a great indicator of future performance. Perhaps the most important consideration when looking for anything in your life is the costs of it. Is it worth your time, worth your effort, worth your money? Gym bags are no different and when considering what are the best gym bags available we took a fairly cost effective strategy. There are times when needing to pay for top brands is important and times when a suitable lower shelf product will do. It all depends on your style, your income, your research and so much more. Don’t look at price as the only contributing factor when making a decision on a gym bag but consider it as part of the overall process on deciding which gym bag will be perfect for you. Perhaps that similar looking gym bag that’s half as cheap will do the job just the same if not better. There are many things to consider when buying a gym bag, who would have thought. But we’ve listed what we think are the top gym bags for various categories that might fit your needs. Take into consideration the different aspects of each gym bag; the functionality, price, durability, style. There are literally hundreds of different gym bags to choose from and each one is a little bit different and has its own style and uniqueness. Of all the bags we scoured through these were the top ones for each of their category, respective of the price. So go on, stop reading about gym bags and actually buy one so you can start getting into the gym and get that body you know you can get.